You will need to make sure you have the Browning Hell's Canyon Speed Alpha Max if you are going to make the trip into Hell's Canyon. 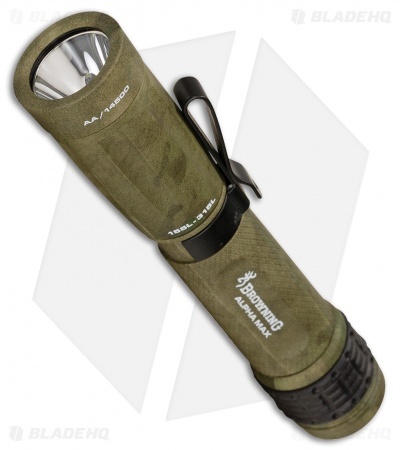 This has a purposefully designed camouflage pattern to be extremely effective, so don't drop this small hand-held LED flashlight in tall grass. Takes one AA battery or one rechargeable Lithium-ion battery and can last up to 16 hours on low or 2.5 hours on high at 315 Lumens. Waterproof and submersible up to 1 Meter of water. Olive drab green casing is made of aluminum with a pocket clip.